Tomei Stroker Kits are an excellent way to increase both horsepower and torque throughout the entire power band. The old saying ???there?? ?s no replacement for displacement??? still holds true today. By increasing your engines bore and stroke you get the results of having a larger engine such as more low end torque and more horsepower. 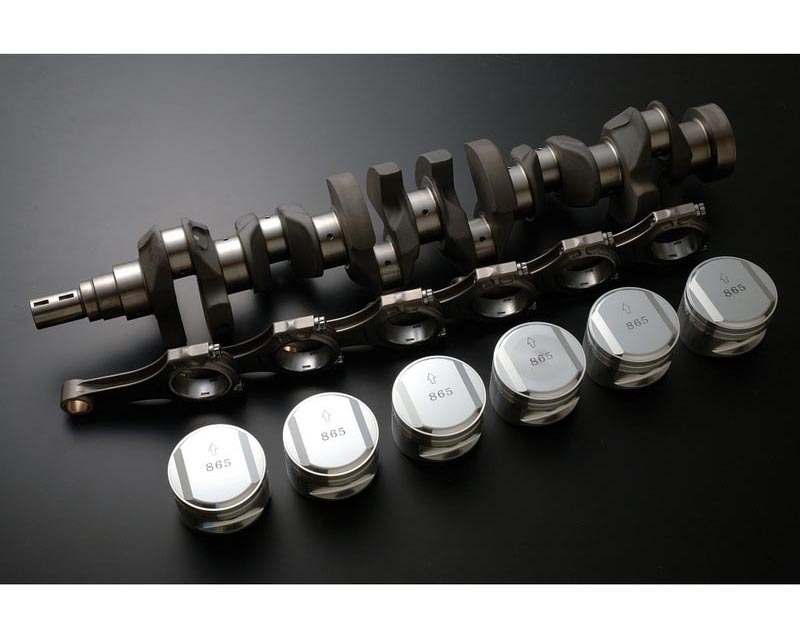 Tomei's Stroker kits are comprised of fully forged connecting rods, pistons, and crankshafts, which are much more durable than the factory cast units. When subjected to extreme conditions and heat cast metal is much more likely to fracture than forged metal, causing catastrophic engine failure and expensive repair bills. Upgrading your engine?? ?s internals gives you the peace of mind knowing that your engine can handle being pushed to its limit.